Ukko Saunas & Hot tubsis manufacturing its own brand of traditional saunas and original wooden hot tubs made from the finest Canadian Western Red Cedar. Ourexperience and knowledge is offered to everyone interested in enjoying the delights of real hot-rock Finnish sauna, as well as original hot tub and steambath. All our products are hand finished and manufactured here in Sydney, Australia. We make saunas and hot tubs to order and are flexible with sizes to suit your requirements and specifications. We can supply everything you need for your sauna or wooden tub project – electric and wood fired sauna stoves, sauna accessories, spa and steambath equipment. We supply sauna equipment direct from Finland. We manufacture and design Finnish saunas and cedar hot tubs locally. No middleman – you deal direct with us! We proudly support Australian local communities. By buying from us you help us to continue our support and help Australia to become a better place. 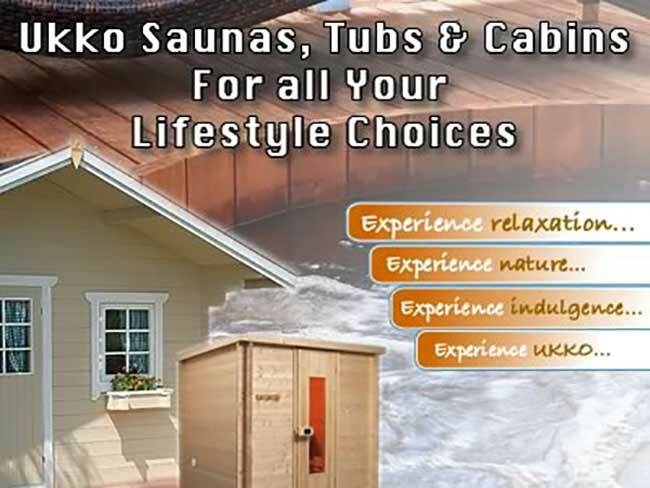 Ukko Saunas™is a registered trading name of Vidog Pty Ltd. Our main objective is to improve Australian families life style and general fitness by providing affordable and high quality products.